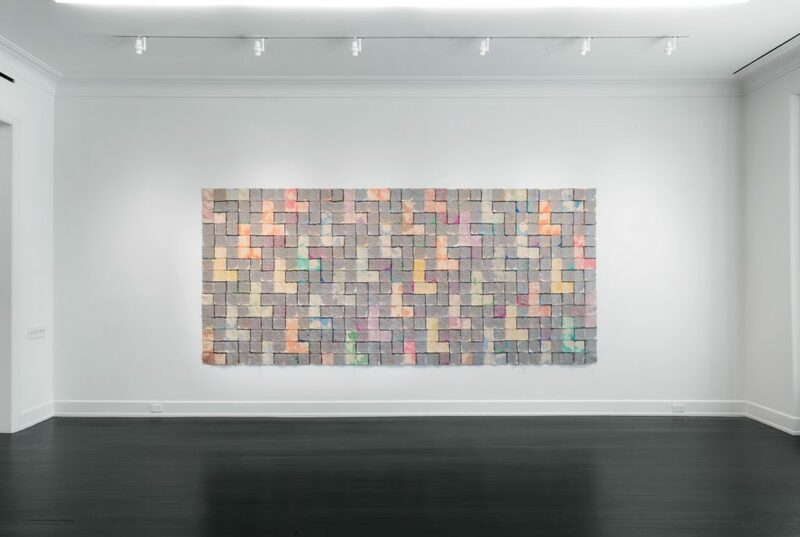 Petzel Gallery is pleased to announce a solo exhibition by New York based artist Allan McCollum. 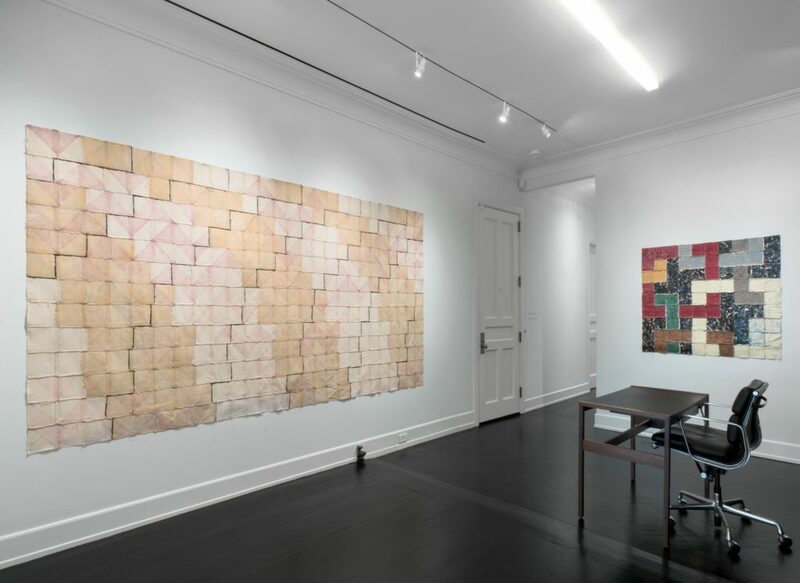 This is his seventh solo exhibition with the gallery. 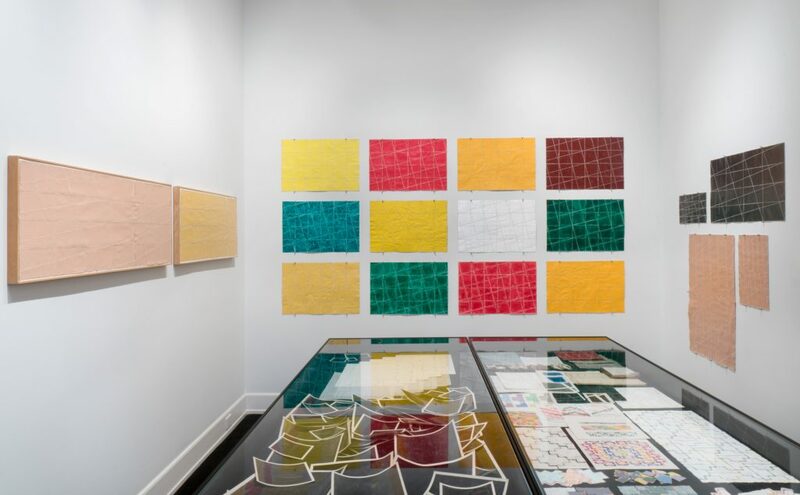 Since Allan McCollum decided to become an artist in 1967, his practice has centered on an insistent drive to demystify the process of art making. 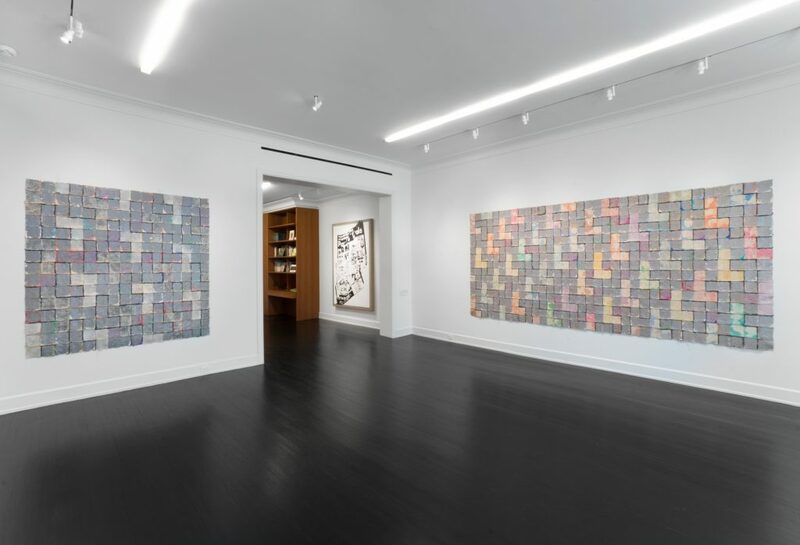 “Every project I’ve done,” he stated in a 2001 interview, “has been an inquiry into what it is we look for in an artwork.”(1) As a self-taught Los Angeles–based painter in the 1960s, McCollum learned about contemporary art by culling information from art magazines, museums, galleries, and his practical experiences as an art handler. 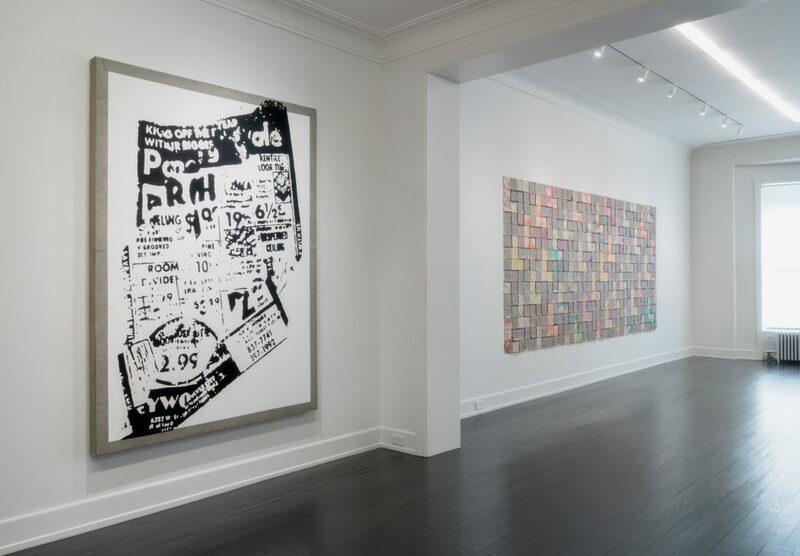 He freely experimented with a hybrid mixture of methods and techniques, describing his approach at this time as “a cross between post-painterly abstraction and post-minimalism.”(2) Although well-received in the Los Angeles art scene of the late 1960s and 1970s, McCollum’s early forays into painting in the form of his “Bleach” and “Constructed Paintings” are less known than his subsequent series of “Surrogate Paintings” (begun in 1978) and “Plaster Surrogates” (begun in 1982). 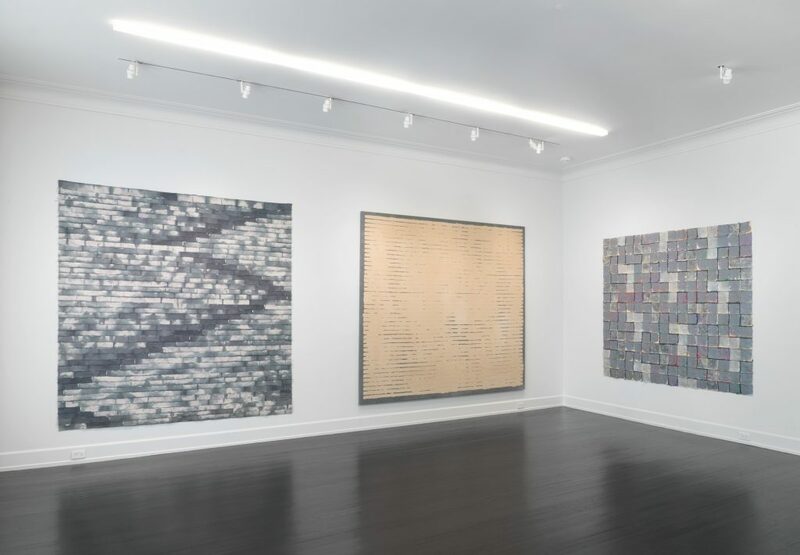 His earliest paintings represent a vital transitional moment for the artist, linking him to the formalist dialogues of the 1950s and 1960s while anticipating his growing preoccupation with issues of serial production and strategies of display evinced in his “Surrogates” and beyond. 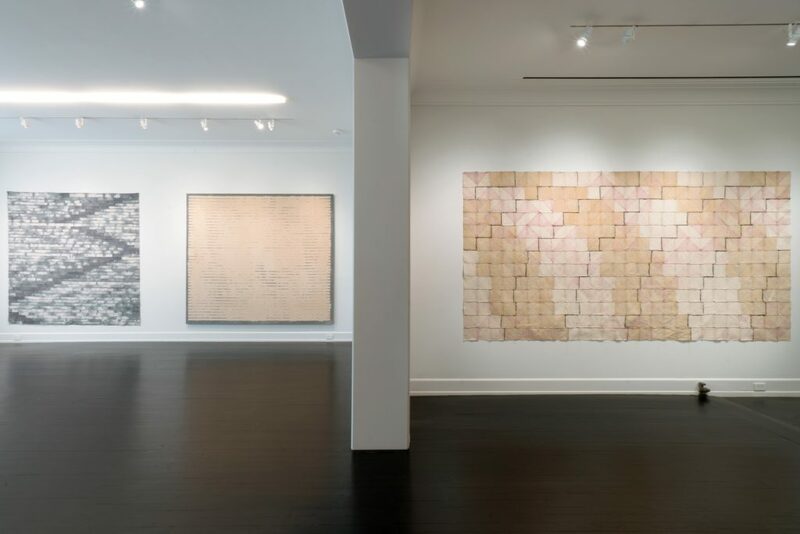 At the same time these canvases offer intriguing perspective on the dominant discourses surrounding abstract painting in the beginning of the 1970s and McCollum’s aspiration to test and strain them. 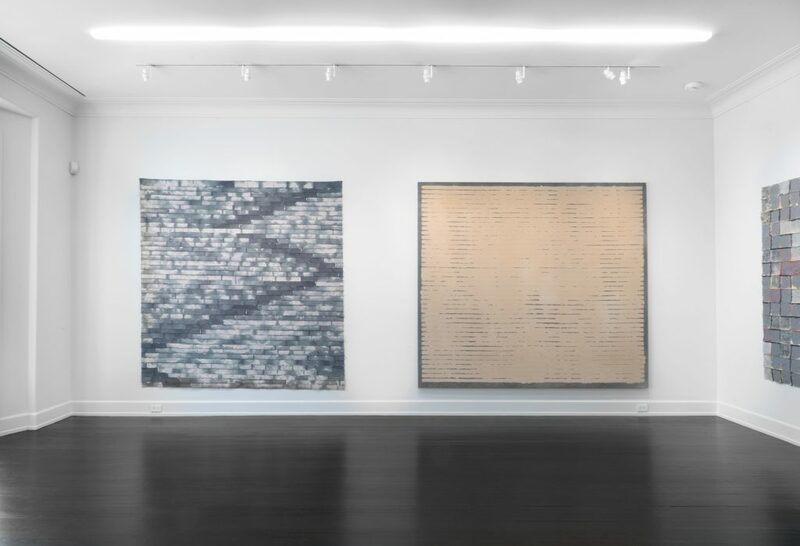 Works: 1968–1977 brings together, for the first time in New York, one Bleach Painting, five Constructed Paintings and a number of late 1960s pieces: all anticipate McCollum’s future work as much as they suggest the nature of his artistic practice at the outset of his career. 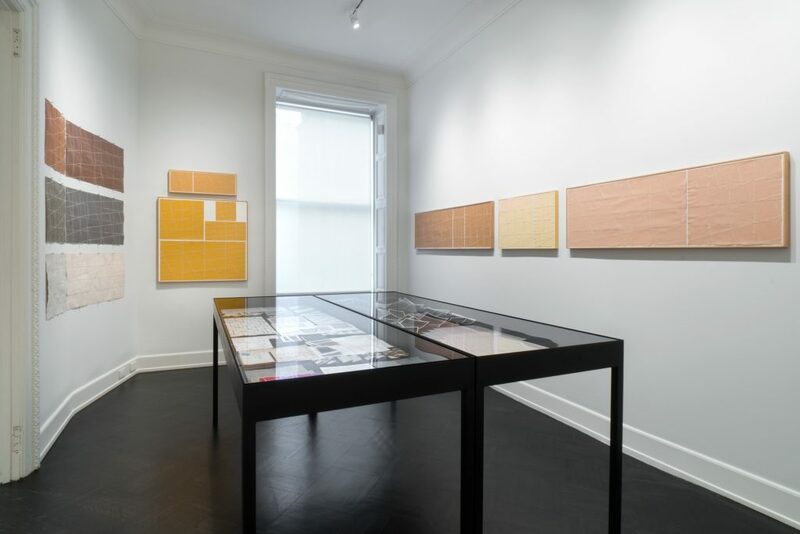 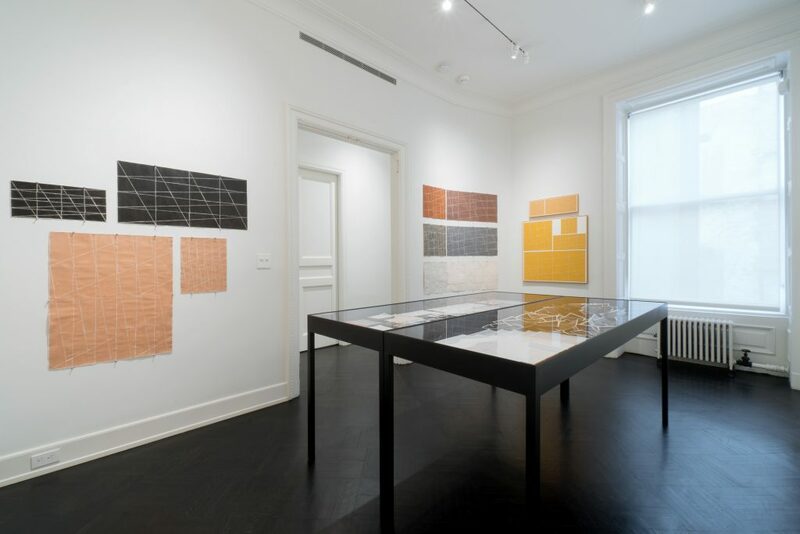 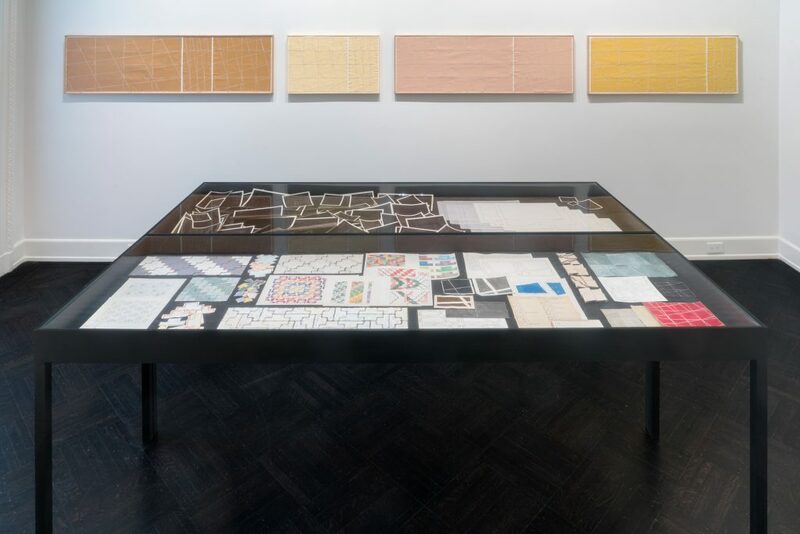 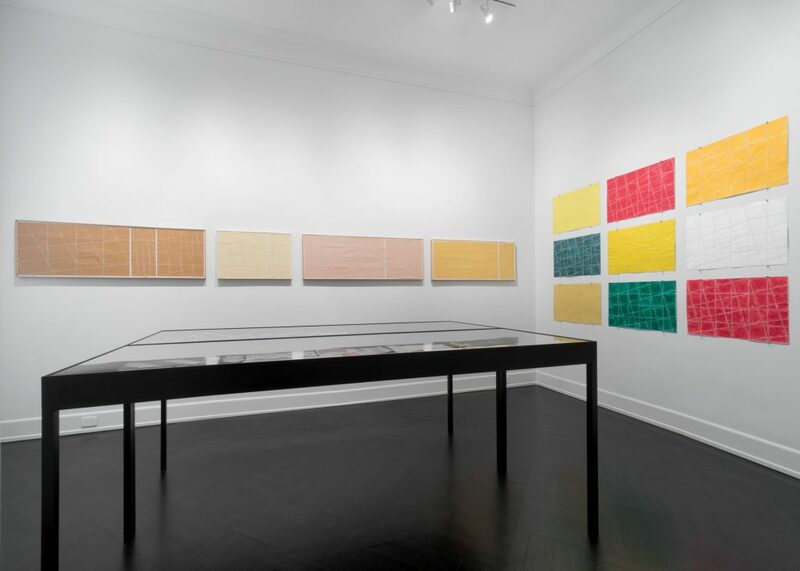 Allan McCollum ‘Works: 1968–1977’, Installation view, Petzel Gallery, 2017.